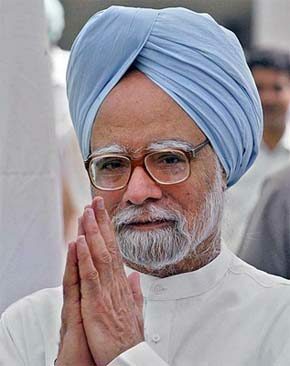 The joint parliamentary committee (JPC) investigating the 2G spectrum has given a clean chit to Prime Minister Manmohan Singh and Finance Minister P Chidambaram, indicting former telecom minister A Raja in the scam. The draft report of the committee says Raja had tweaked the rules to give the permission to few companies and the PM and finance minister were not informed about the changes. The draft report further says it was a policy decision to give licences on a first-come-first-served basis and not to go for auction of the spectrum. It can be noted that the Supreme Court in 2012 had ruled that the first-come-first-served policy used by Raja to award mobile permits to some companies in 2008 was unconstitutional. It had cancelled the licences and directed the Centre to issue fresh licences and spectrum through an auction. The report contradicts the CAG’s claim that Raja’s allocation process in 2008 had caused a loss of Rs. 1.76 lakh crore to the exchequer. It also criticises the methods adopted by the CAG to probe the matter.